Sediment and nutrient monitoring at selected watersheds within the Illinois River Watershed for evaluating the effectiveness of the Illinois River Conservation Reserve Enhancement Program (CREP). This report documents the progress that has been made to date on the Conservation Reserve Enhancement Program (CREP) monitoring project. 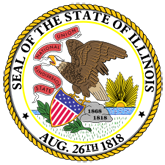 The Illinois Department of Natural Resources (IDNR) through the CREP provides support for this project. This monitoring program collects hydrologic, sediment, and nutrient data for selected watersheds within the Illinois River watershed to assist in the evaluation of the effectiveness of the program. The Illinois River CREP is a new initiative by the State of Illinois and the United States Department of Agriculture to implement conservation practices in the Illinois River watershed over a 15-year period that improve water quality and habitat for wildlife. Monitoring programs were established for sediment and nutrients for two pairs of watersheds within the Illinois River basin to collect hydrologic, sediment, and nutrient data during the implementation phase of the project. The two pairs of watersheds are the Court and Haw Creek watersheds (Spoon River basin) and the Panther-Cox Creek watershed (Sangamon River basin). This report details the location, equipment, and installation techniques used at the five monitoring stations and associated raingages that were installed as part of the data collection effort for this project. Samples of the data collection format and frequency are presented and described. Stage, nutrient concentration, and suspended sediment concentrations for data collected through June 2000 are also presented as appendices. 1. Sediment and nutrient monitoring at selected watersheds within the Illinois River Watershed for evaluating the effectiveness of the Illinois River Conservation Reserve Enhancement Program (CREP). (20060930190843_ISWSCR2001-12.pdf).